JMH: What is Grafix Chronicles? 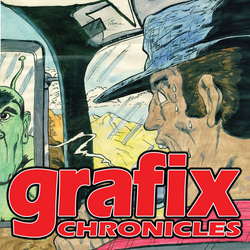 TWM: Grafix Chronicles is an ongoing anthology that for a few issues will mostly feature reprint stories from friends of mine or pages that I worked on as inker or letterer. Later on there will be original stories, mostly full 22 page single stories, and some shorts, but all sci-fi/superhero related. Hopefully I can do a color issue. As with Monty’s World I want to keep things fun and old school. JMH: What is the books origins? The name as well? TWM: As I was coming to the end of Monty's World, I noticed that there were other short stories that I wanted to published, so I came up with GC. Although I’m not a big fan of anthologies, I have worked on lots of short stories. Plus, it’s a great way to introduce a character. JMH: Does Grafix Chronicles have a set line-up? TWM: No, just all ages superhero/sci-fi stories. JMH: Are the stories from Grafix Chronicles original or reprints? TWM: A little of both. JMH: Do the stories carry a message to the readers? TWM: That depends on the reader. They are what you make it. I do not plan to preach, just have fun. JMH: Talk about the creative team involved with Grafix Chronicles. TWM: Since this is an anthology, all of the stories will have various creators. I do hope to have some of the creators that I have worked with contribute stories like Mark F. Davis, Ron Fortier, Ron Stewart, John Helmer, Darren Davis, Paul Moore, etc. Whether they are reprints or originals. JMH: Can creators and artists submit stories for the title? 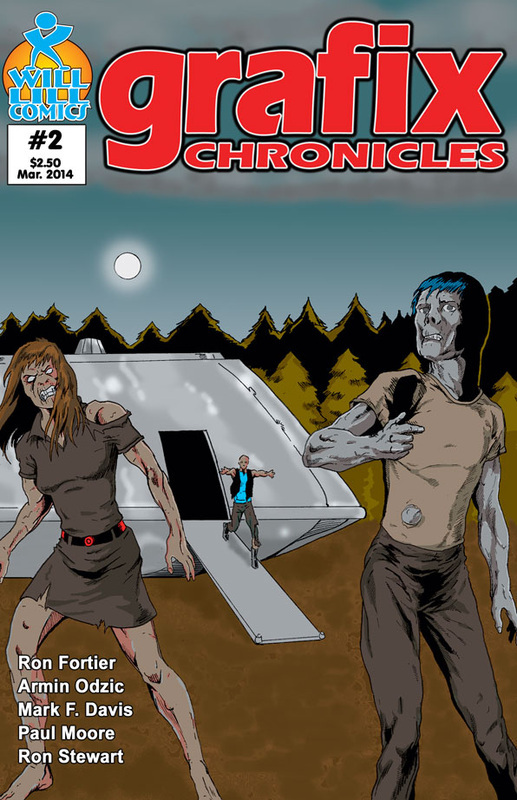 JMH: Will Grafix Chronicles be released in digital format, web comic, or print? TWM: Print and digital as always at Comixology, DriveThru Comics, Graphicly and print at Indy Planet. 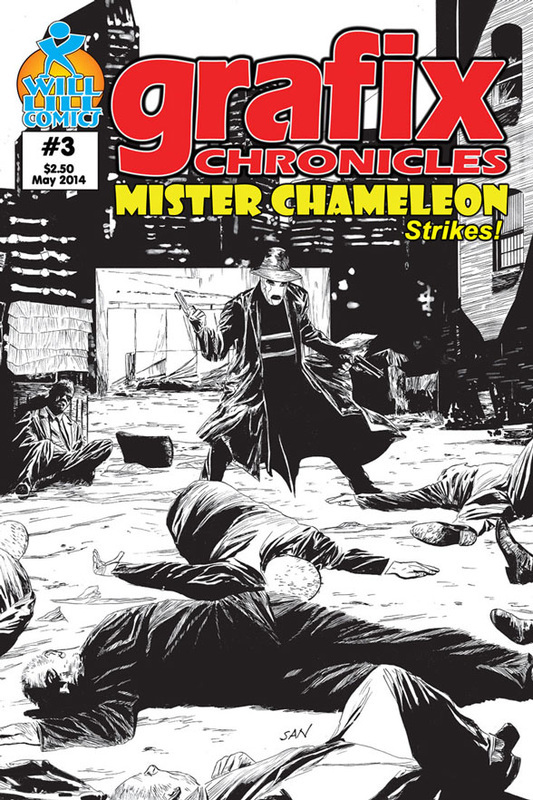 Plus, print version is available locally in Portland, OR at Bridge City Comics. Hopefully I time goes on there will be more local stores as well as national thru Diamond. JMH: Where can fans get a hold of Grafix Chronicles. JMH: Finally, is there anything coming up in further Grafix Chronicles stories, or other projects you want people to know about? TWM: Now that Monty's World is complete, a few of the characters will have a mini-series or one-shot releases this year: C.J. Walker, Bounty Hunter, John Kirby: Firefox, Lightning Marval and a character created by Mark F. Davis' American Guard, Dartman created and written by Richard D. Irving. Plus other surprises. TWM: Practice, practice, practice and have lots of patience. JMH: Warren, CBI appreciates your time. All the best!